A budget airline that began offering long-haul flights from UK airports earlier this year, including Stansted to the US, has collapsed. 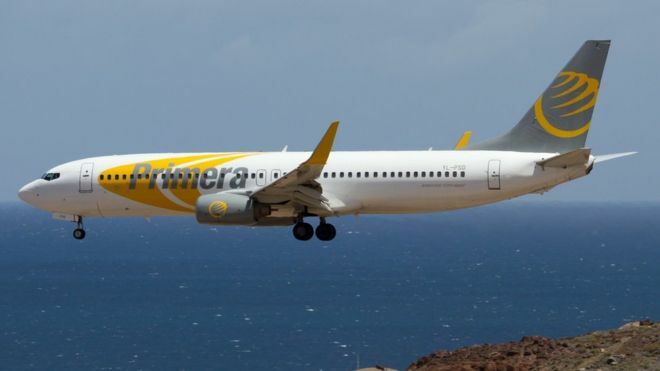 Primera Air said it was ceasing all operations at midnight on Monday after 14 years of operations. Flights to Washington and New York due to leave Stansted on Monday night were grounded and passengers have been told not to go to the airport on Tuesday. One flight from Birmingham to Malaga arrived on Monday evening. The airline, which had 15 planes, began offering low-cost flights from Stansted and Birmingham to North America - including Washington, Newark, and Toronto - earlier this year. Flights from Manchester to Malaga were due to start later this month. Most of the airline's business involved taking Scandinavian holidaymakers to destinations such as Spain, Greece, Italy, Egypt and Turkey.